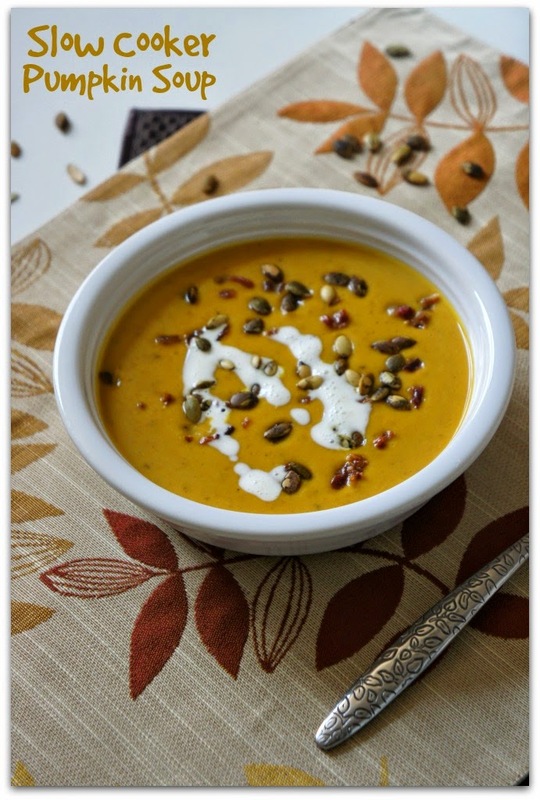 A savory soup that uses everyone’s favorite fall ingredient—pumpkin! 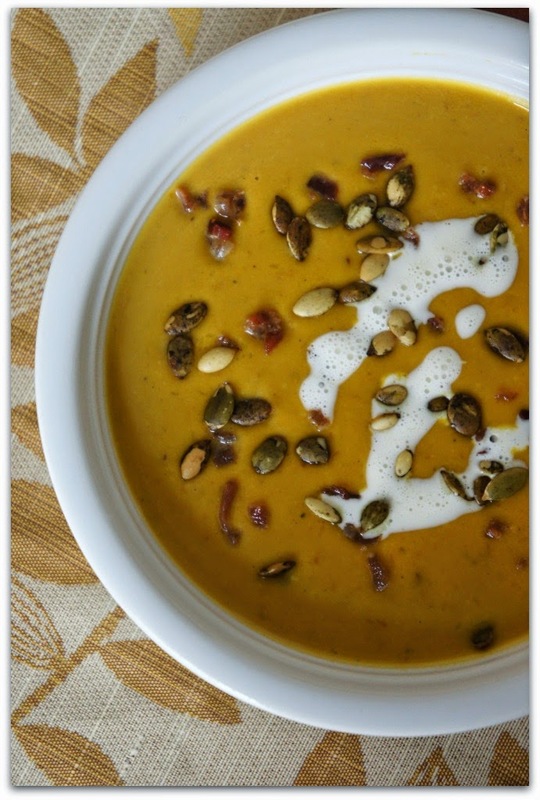 This pumpkin bacon soup is comfort in a bowl. It has bacon (I know), cream, Parmesan, and lots of seasonings to keep you warm on those crisp fall evenings. Serve the soup topped with bacon crumbles and roasted pumpkin seeds and a side of warm french bread slathered in butter and you’re set. This decadent recipe is perfect for a cozy fall evening with the fam...and after slow-cooking all day, it will leave your house smelling amazing! Step 1: In a frying pan over medium high heat warm the oil. Add in diced onions and cook for about 5 minutes. Step 2: Add onions to 5-6 quart slow cooker. Add in the pumpkin, water, bouillon, ½ cup of the bacon, sugar, bay leaf, thyme, curry powder, and salt. Step 3: Cover and cook on LOW for about 4-6 hours. Step 4: Discard the bay leaf. Stir in the cream, Parmesan cheese, and pepper. Step 5: In a small bowl, mix together 2 Tbsp cornstarch with 2 tablespoons water, until smooth. Stir into the slow cooker. Cook uncovered on HIGH for about 15 minutes, until soup is thickened a bit. Step 6: Ladle into serving bowls and serve topped with extra bacon and pumpkin seeds.